I don’t know of any horror movies that play “Pomp and Circumstance” to ramp up the suspense, but that doesn’t make graduation any less terrifying. Because what follows the requisite cap toss is a void for many recent students, the best books for college grads are those that will guide them carefully through their next steps. 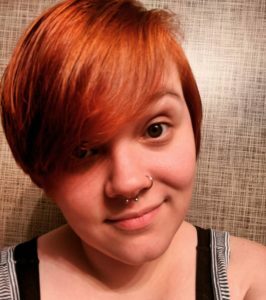 I was well into my college career before I learned that adults were all getting through life with a combination of improvisation and willpower. The truth is, you are just as likely to have the right answer as the next person. Just because you and person #2 are going about this life thing the same way doesn’t mean you can’t learn a thing or two from her, however. You aren’t going to have the same life skills, and there’s a good chance that she, if she’s successful, has developed a few strategies you could use to get ahead. That, in short, is what puts the best books for college grads on top of the heap. If they can impart the wisdom and inspiration you, as a recent graduate, need to jumpstart your career, you can’t afford not to read them. If you’ve already got a job offer, congratulations! 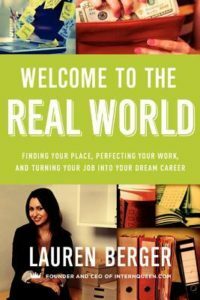 Now run out and grab yourself a copy of Lauren Berger’s Welcome to the Real World, because — I assure you — you’re not prepared. Television and the movies have given us an outdated sense of what today’s workplaces are like. Unless your parents are on the cutting edge of industry innovation, they don’t have a clue what kind of lion’s den you’re entering. The only person that can prepare you, is you. Considering going back to school for an advanced degree? 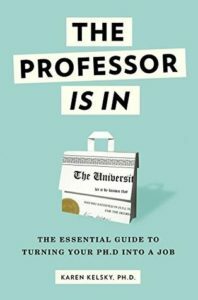 Then you need to read The Professor Is In by Karen Kelsky. It’s no secret that many PhDs find themselves working as underpaid adjunct professors — if they find jobs in their fields at all. To avoid getting caught in that trap, you need to go into graduate school with a solid strategy. Kelsky offers just that. You’ll find timelines for research, publishing, conference attendance, and more in this handy, easy-to-reference volume. For those of you who commuted from home and are gearing up to move out, allow me to recommend this guide. 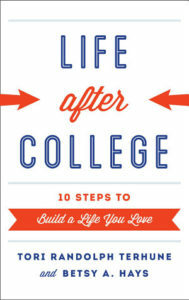 Life after College covers the basic life tips you need to easily navigate unfamiliar environments, such as a new city or job. Most recommendations of the best books for college grads focus on finding a job — and that’s about it. But you need to know how to handle life in general, which, trust me, is way wackier than your weird co-workers. Life is messy and complicated, but it doesn’t always have to be that way. Learning how to set a budget, save money, and meet new people now will help you avoid a lot of grief and frustration in the long run. Yay, adulting! I know some people hate that word, but I truly love it. Because being a rational and independent human being is really hard sometimes, so, yes, it deserves to be verbed. 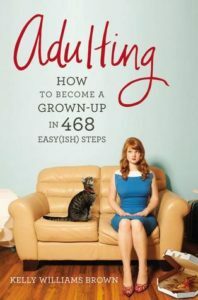 In Adulting, Kelly Williams Brown answers all the tough questions you never knew you’d ask. This is another general life skills book, and it’s one you need if you can’t — or don’t want to — call home every three days asking a new question about spoilage rates, grocery prices, and service industry practices. Once you’re done with it, pass it along to a college freshman you know. What do you think are the best books for college grads? Let me know in the comments!